So this post is all about mistakes. 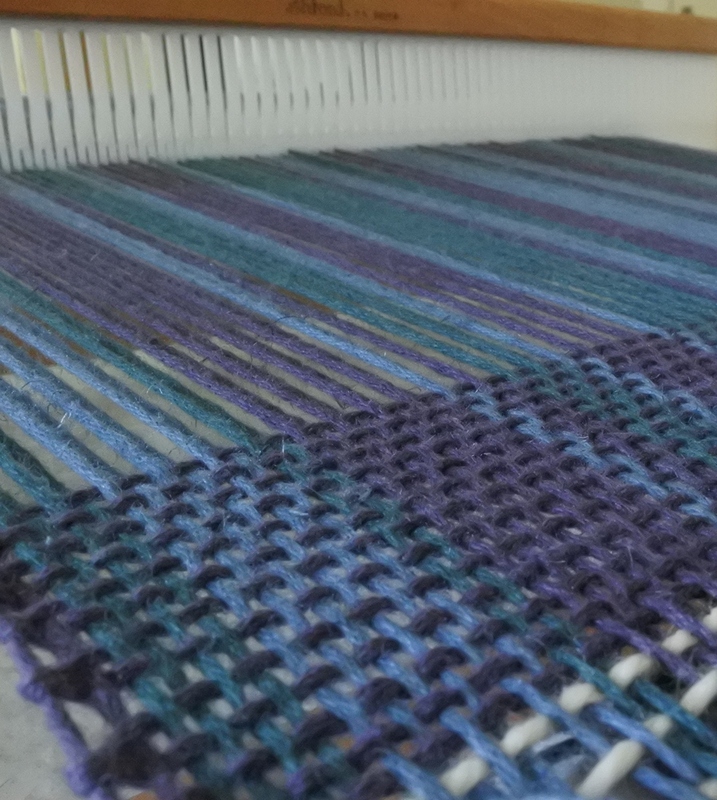 Weaving presents a great ability to make mistakes, simply because a lot of the different types of mistakes will only show on the other side of the fabric; the side you can’t see without turning the loom over! You’ll notice that I’m so sure there’ll be more mistakes to show in future, that I’ve marked this post as just #1? Well, that’s partly because of the kind of mistakes I’ve made so far – most I didn’t see at all until the cloth was off the loom. On the left you’ll see some super long floats. This is the “back” of the scarf and the floats were caused be me screwing up my treadling order (the order I was lifting “shafts” in). In the middle is a straight pattern stuff up, which I probably should have seen as this is the front of the scarf! 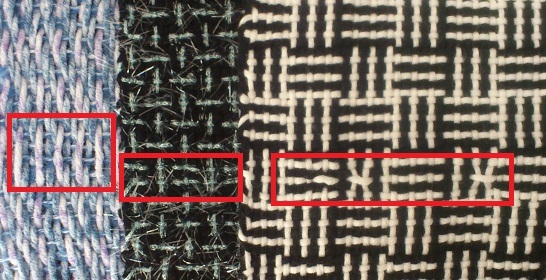 On the right is another back-of-scarf problem. This time the pattern got messed up because my shed wasn’t clean. As I ran out of warp my shed got a little messy and I ended up using a pick-up stick to tidy it up. So, I think that another benefit of a rigid heddle loom is that you can turn it on its side and take a peek at the underside of the web. Now I just need to remember to do it before I wind forward! 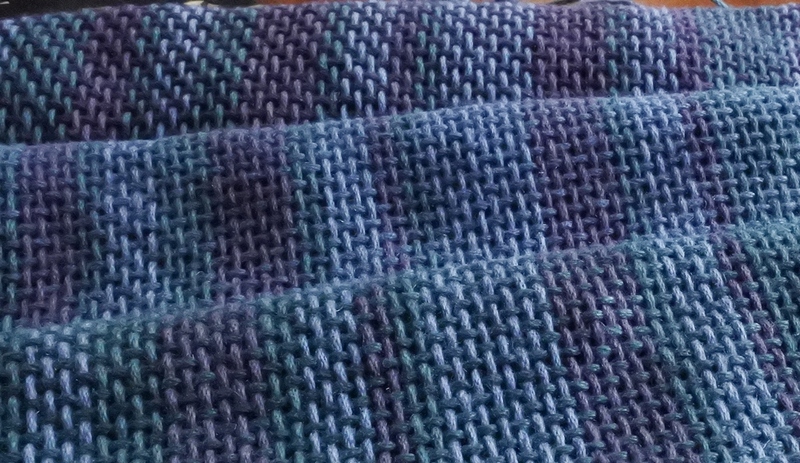 Another thing I learnt (though really it’s just common sense) is to not weave patterns when tired.